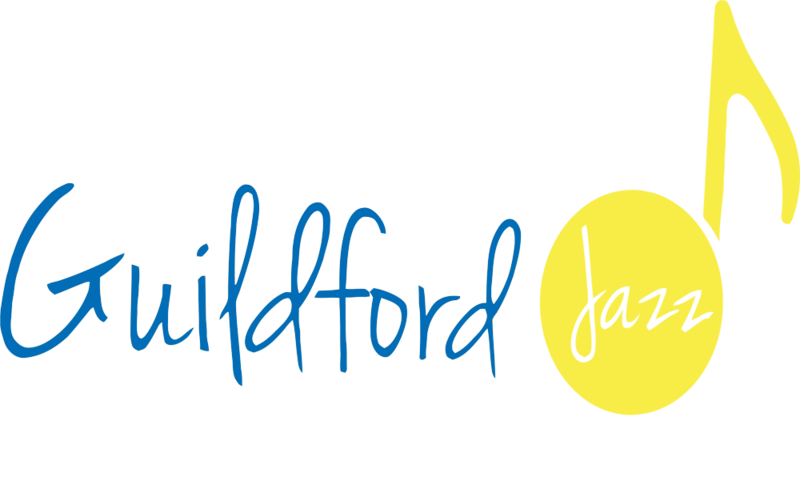 From January 2013, the Electric Theatre in Guildford has been hosting a monthly Jazz Cafe evening in the welcoming and intimate setting of the Cafe Bar and our guests have included some of the best jazz musicians in the country, many internationally renowned. Tickets are available from the Box Office on 01483 501200 or online from the Electric Theatre website. The theatre is very close to the train station in Guildford and there’s parking very nearby in the Bedford Road or Portsmouth Road Car Parks. Sara Dowling demonstrates an expansive vocal range with an immense interchangeable emotional tone, reminiscent of the jazz greats Billie Holiday, Anita O’Day and Betty Carter. At a young age her environment played a significant influence in her musical journey, swaying between her father’s record collection of Erroll Garner, Wynton Kelly and Bud Powell to the haunting melodies blaring from her mother’s radio of the great Arabic chanteuse Fairuz. Trained as a cellist (with accolades including performances for Yo Yo Ma, Steven Isserlis, and a concerto performance with the Halle Orchestra), she re-emerged as a singer in 2009 and her 2015 debut album ‘From Shadows into Light’received a 5-star review from Jazz Journal (“A vocal with timeless quality”) and album of the month from Jazz Views (“A remarkable tone of voice”). A true star in the making! Winner of “Best Guitarist” in the 2016 British Jazz Awards, NIGEL PRICE is one of the most highly regarded and in demand guitarists on the UK jazz scene today. He combines a great sound and a dazzlingly technique and his blend of flowing bebop lines, deep blues feeling and mastery of chording has made him instantly accessible and popular with jazz audiences. Nigel spent three years with UK funk legends The James Taylor Quartet and his renowned Organ Trio won the 2010 Parliamentary Jazz Award for “best jazz ensemble”. In addition to a heavy touring schedule he is also a regular performer at Ronnie Scott’s, where he has played over 400 times! Pianist and composer Gabriel Latchin will be touring the music from his new release The Moon and I this spring. Taken from a lyric in Hubbell and Golden’s Poor Butterfly, the title is a tip of the hat to the opening tune he performed recently at Wigmore Hall with Christian McBride and Renée Fleming. Longtime collaborators, Gabriel’s trio have developed a unique sound: a hardswinging 1950s aesthetic married with the contemporary vision of Latchin’s compositions. For his performance at the Jazz Cafe, Gabriel’s trio is joined by Steve Fishwick on trumpet and Sam Braysher on sax in classic Horace Silver/ Art Blakey Quintet lineup. Sheryl’s playing is unquestionably “sizzling”. She has groomed incredible chops and impeccable taste with which she applies them. It’s said (by Lee Metcalf, The Villager) that she can “go from zero to blazing in two beats”, but she is continually praised for never sacrificing melody and lyricism for technique. “She balances superior technical skills with a strong lyrical sense and swinging touch…” continues Metcalf, and Joe Taylor of Soundstage says “Bailey combines an astonishing command of the fingerboard with a seemingly endless flow of melodic invention”. Her years of dedication and focus won her 3rd place in the Thelonius Monk International Jazz Guitar competition in 1995, and she was chosen as a Jazz Ambassador for the U.S. State Department in 2000 for a South American tour. Earning “Rising Star” status on Downbeat’s Critic’s Poll 2013, 2014, and 2015, and she is now Professor at Berklee College of Music, and at the Collective in New York. “One of the top players in an emerging generation of jazz guitarists” (John Heidt, Vintage Guitar). The music of Duke Ellington has been inspiring singer Sarah Moule and pianist Simon Wallace ever since they both discovered jazz. Simon was hooked after hearing the Ellington band live when he was 13 years old. Sarah recently performed a concert of Ellingtonia with the Capital City Jazz Orchestra at Brecon Jazz Festival. Together they celebrate the genius of the Duke with a collection of his greatest songs and those of his right-hand man Billy Strayhorn. From ‘In A Mellowtone’ to ‘Mood Indigo’, ‘Rockin’ In Rhythm’ to ‘Rocks In My Bed’ and Sophisticated Lady’ to ‘Something To Live For’, Ellington’s repertoire ranges from gut-bucket blues to urbane sophistication. These highly-regarded musicians have performed at the Southbank Centre, every major London jazz room and all over the UK. Sarah sang for six years with The John Wilson Orchestra, has released four critically acclaimed CDs and has performed with British jazz greats such as Norma Winstone, Ian Shaw and Duncan Lamont. Simon toured internationally with the Lindsay Kemp Company, has recorded with Geoff Beck and been Musical Director for Imelda Staunton, Barb Jungr, Ian Shaw and Clare Teal. For their performance at the Jazz Cafe, Sarah and Simon will be joined by Marianne on double bass. From classical music, to Latin funk, to a French twist, join us for our first jazz evening “in the round” with the fantastic Paul Higgs Quintet in concert, playing from his critically acclaimed album, Pavane. ‘Pavane’ is a collection of original compositions that blur the boundaries between classical and jazz. Each piece shows us a new soundscape, and the exquisite sound of Paul’s trumpet transports us through each one in turn. From the sense of romantic longing in A Simple Truth, through the rising elegiac quality and counterpoint of Crystalline, to the haunting mystery of Catalonia, ‘Pavane’ takes us on an inspiring musical journey. Since joining the National Youth Jazz Orchestra at age 14, Paul Higgs has gone on to play a major role as a composer and arranger. His style emphasizes lyrical melodies, as opposed to more angular forms of jazz. As a young man he was renowned for his skill, working with such luminaries as Johnny Dankworth, Cleo Laine, Peggy Lee, Buddy Greco, John Williams and Shorty Rogers. Paul was a Musical Director and Composer at the National Theatre and the RSC for 24 years, playing at concert halls and theatres around the world, including the Royal Festival Hall, the Schubert Theatre (USA), the Berlin Concert Hall, the Royal Albert Hall, and Ronnie Scott’s. The evening features Paul and his Quintet playing compositions from the album, plus some well-known favourites, made famous by Chet Baker, Clifford Brown and Miles Davis, and all of them guaranteed to quicken the pulse. The album reached No.1 in the One World Music Charts, and as Chris Spector of Midwest Records wrote ‘Here we have a world class trumpet player…one of those who can mix jazz and classical into a well-simmered brew. This is a fine example of first class stuff by a first class guy’. The performance will take place in the auditorium with seating “in the round”. Early booking recommended!